The Cannington Track was scheduled for routine maintenance works Tuesday morning April 16. Due to the weather conditions this has been postponed until next Tuesday April 23. It will be deep raked to a depth of 65mm. The track will then bladed and rolled to reconstitute the racing surface. 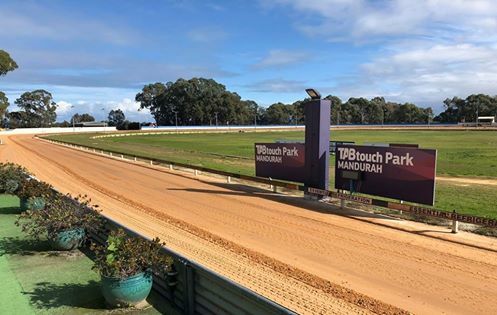 The track surface will be in good order for Public Trials Tuesday April 23 commencing at 5pm. The Mandurah Track is scheduled for routine maintenance works Wednesday morning April 17 weather permitting. It will be deep raked to a depth of 65mm. The track will then bladed and rolled to reconstitute the racing surface. The track surface will be in good order for the race meeting Thursday April 18.